Plagioclase is a member of the feldspar mineral family. Plagioclase feldspars are a common silicate that contains considerable sodium or calcium. 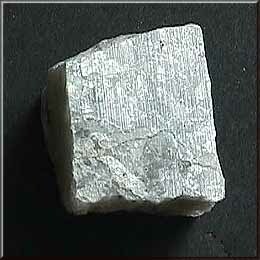 Feldspar crystals are stubby prisms, generally white to gray and a glassy luster. This variety of plagioclase, called albite, is rich in sodium. This page was last modified on 1 October 2007, at 12:07.